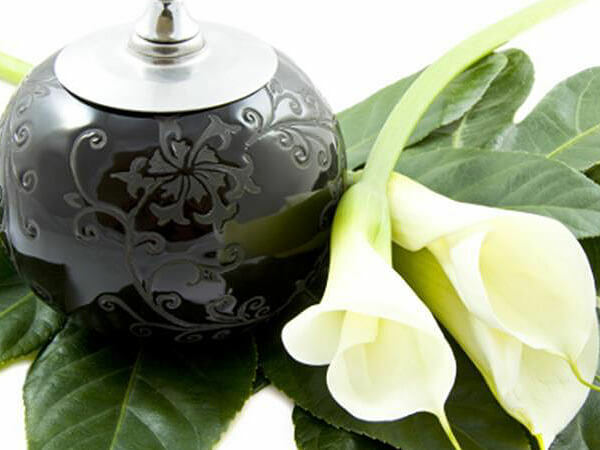 We understand that those who choose cremation may have concerns about the process and procedures. Our 9-Step Cremation Assurance Process guarantees that your loved one never leaves our care and that the cremated remains that are returned to you are those of your loved one. Many other funeral homes hire third party crematories, typically located in a warehouse district. These funeral homes transport your loved one to these outside cremation services, making it impossible for them to manage and supervise the cremation. We have our own crematory, so all of your services are handled and managed by our certified staff, meaning your loved one never leaves our care. To ensure security, a personal identification band is placed on your loved one at the moment they are transferred to our care. Upon arrival, your loved one is logged into our tracking system. Our tracking system includes date and time of arrival at our facility and name of the transfer technician. Personal belongings are catalogued and placed in a secure area for return to the family. A stainless steel personal identification disc stamped with a unique number is assigned and will accompany your loved one throughout the cremation process. Our staff will prepare your loved one for your private family viewing (if possible). You will be allowed a time, if possible, to privately view the body as a family (immediate family members only: Spouse, Children, Grandchildren, Parents, Siblings). If the viewing can be done in a matter of a few hours after the death then embalming will not be necessary. If there is to be a long delay (more than 8-12 hours) then embalming would be encouraged. If the viewing could not be done within 48 hours then embalming may be required. Viewing of the deceased is a very important step in acknowledging that the death has occurred. Two individuals, a cremation technician and a funeral home staff member, will review all cremation paperwork and permits. This is to ensure authorizations and permits have been received and have been properly documented. Once all documentation is verified, the cremation will be scheduled. Immediately prior to the cremation process, your loved one is taken to the cremation chamber and their personal identification number is noted in our cremation log book. This log shows the name of the individual, date and time of cremation, identification number and crematory operator’s name. Our crematory log is dated and the start and end time is noted and initialed by a cremation technician before and after the cremation. The cremation checklist, required authorizations and documentation, and an identification affidavit are placed on the outside of the cremation chamber during the cremation process. The metal personal identification disc is placed inside the cremation chamber along with your loved one. This disc will survive the cremation process and will continue to accompany the cremated remains. After the cremation is complete, the cremated remains and identification affidavit are placed in a plastic bag, sealed using a cable or twist tie with the identification disc attached and placed into a cardboard temporary container (or urn, if one has been selected). A second identification affidavit is placed in an envelope and an additional copy is placed in our permanent files. Our staff will notify you when the cremation process has been completed so that you can schedule a time for receipt of the cremated remains.